Tot ce ai nevoie pentru a gestiona, pentru a regla, și edita dvs. colecție de fotografii digitale! CyberLink PhotoDirector8 DE oferă instrumentele de care aveți nevoie pentru a gestiona, pentru a regla, și edita dvs. colecție de fotografii digitale. Îmbunătățită față și corp înfrumusețarea instrumente vă permit să subtil touch-up trasaturile fetei si conturul corpului în fotografii. Obiectele nedorite pot fi îndepărtate cu ușurință de fotografii cu conținut conștient removal tool, care umple spațiul lăsat de șters obiect cu culorile și texturile din zona înconjurătoare. Cel mai la indemana Fata de Swap caracteristică vă permite să identifice și să aleagă cel mai bun fata de fiecare membru al unui set de fotografii de grup. O foto avansate fuzionează algoritmul combină cele mai bune de fețe într-o fotografie de grup perfectă. Cu o interfață intuitivă și un set de caracteristici de neegalat, PowerDirector ofera performanta high-end de editare pentru ambele standard și 360º video. Construit pentru a fi flexibil, dar puternic, PowerDirector rămâne definitivă soluție de editare video pentru oricine, indiferent dacă sunt începători sau profesioniști. Definitive de editare foto soluție, PhotoDirector9 oferă o gamă largă de ușor de utilizat instrumente construite pentru a crea uimitoare fotografii de familie, de călătorie și de peisaj fotografii și portrete perfecte. Toate livrate cu un set de neegalat a sprijinit formate RAW, lentile de profile si acum crearea de imagini la 360 de grade fotografii și clipuri video. Installed okay on Windows 8.1. But then the fun stopped! By the time I had tried about 10 options which don't work in this version I was fed up with the program and uninstalled. I thought the whole point of giveaway programs was to let people try them out and give an honest opinion of them. Unfortunately this seems to be just a ploy to get us to buy the full version. "The handy Face Swap feature lets you identify and choose the best face from each member of a set of group photos. An advanced photo merging algorithm combines the best faces into a perfect group photo." But it does not - you have to buy the full version. Likewise for a lot of the other features. It was not worth downloading. My existing photo editor (Corel Paintshop 2018) is vastly superior, but I intended to try this for the face swap features. Yes, I know it is free, but all I ask for is a bit of honesty in the blurb. If it was any good I would have then bought it. BUT instead it was a waste of time and effort. The description sounded good, but it is not what you get. I cannot see the point of coaxing people to download with claims that are not true. It just makes you doubt the software house. 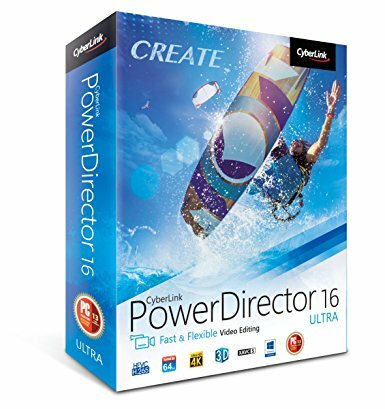 A pity because I use Video Director from Cyberlink and it is good (but rather "clunky"). Most of the time, if a program has cut down features or things omitted, or limits, Giveawayoftheday tell you. If I like the free one, then I usually buy the commercial product, but with this one Cyberlink have not done themselves any favours. I downloaded it because it says... "The handy Face Swap feature lets you identify and choose the best face from each member of a set of group photos. An advanced photo merging algorithm combines the best faces into a perfect group photo." But it does not - you have to buy the full version. Likewise for a lot of the other features. It was not worth downloading. My existing photo editor (Corel Paintshop 2018) is vastly superior, but I intended to try this for the face swap features. Yes, I know it is free, but all I ask for is a bit of honesty in the blurb. If it was any good I would have then bought it. BUT instead it was a waste of time and effort. The description sounded good, but it is not what you get. I cannot see the point of coaxing people to download with claims that are not true. It just makes you doubt the software house. A pity because I use Video Director from Cyberlink and it is good (but rather "clunky"). Most of the time, if a program has cut down features or things omitted, or limits, Giveawayoftheday tell you. If I like the free one, then I usually buy the commercial product, but with this one Cyberlink have not done themselves any favours. A great pity. The day this developer stops playing around with the English language is the day it may be worth taking seriously. Past so-called giveaways here and elsewhere have featured version suffixes SE (Special Edition) and LE (Limited Edition), both of which should, but probably didn't to those asleep at the mouse, flag up the fact that Cyberlink was punting crippleware. Now it's no longer LE or SE but DE, though the outcome looks likely to be the same seeing as how, once again, a CyberLink retail product price is quoted -- on this page, the text specifically states: 'This program is available for $59.99 but will be for our visitors as a limited-time offer' -- but the product itself doesn't actually exist. 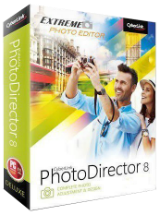 Just as there never was a PhotoDirector SE or PhotoDirector LE available for sale from CyberLink, nor is there a PhotoDirector DE. Thanks, GOTD, but no thanks. If anyone on here wants to persuade themselves into believing that DE stands for DeLuxe, then I have a London bridge to sell them. The day this developer stops playing around with the English language is the day it may be worth taking seriously. Past so-called giveaways here and elsewhere have featured version suffixes SE (Special Edition) and LE (Limited Edition), both of which should, but probably didn't to those asleep at the mouse, flag up the fact that Cyberlink was punting crippleware. Now it's no longer LE or SE but DE, though the outcome looks likely to be the same seeing as how, once again, a CyberLink retail product price is quoted -- on this page, the text specifically states: <i><b> 'This program is available for $59.99 but will be for our visitors as a limited-time offer' </i></b>-- but the product itself doesn't actually exist. 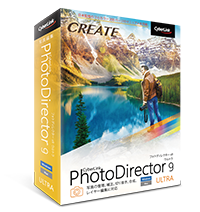 Just as there never was a PhotoDirector SE or PhotoDirector LE available for sale from CyberLink, nor is there a PhotoDirector DE. Thanks, GOTD, but no thanks. If anyone on here wants to persuade themselves into believing that DE stands for DeLuxe, then I have a London bridge to sell them. A program for $60 and a lot of function that you have to unlock for More Money? That is not nice. (I know this is a giveaway, but I guess you like to sell this to other people) I have tested the few things that work and it is mostly a lot of filters. No Thank You. I will not give any test results of this program. Next time, give us a fully function program and we will test it for you. Now it only looks as you are trying to sell a program using this channel as a free advertisement. A program for $60 and a lot of function that you have to unlock for More Money? That is not nice. (I know this is a giveaway, but I guess you like to sell this to other people) I have tested the few things that work and it is mostly a lot of filters. No Thank You. I will not give any test results of this program. Next time, give us a fully function program and we will test it for you. Now it only looks as you are trying to sell a program using this channel as a free advertisement. Downloaded & installed (337.13)MB! Seems to work ok but has occasional adverts promoting upgrades,etc. In this version 8DE, there are no Layers functions!! Like getting to the end of a book only to find last page missing! I know it's free,but if it is not what you need,why waste everyone's time downloading it?